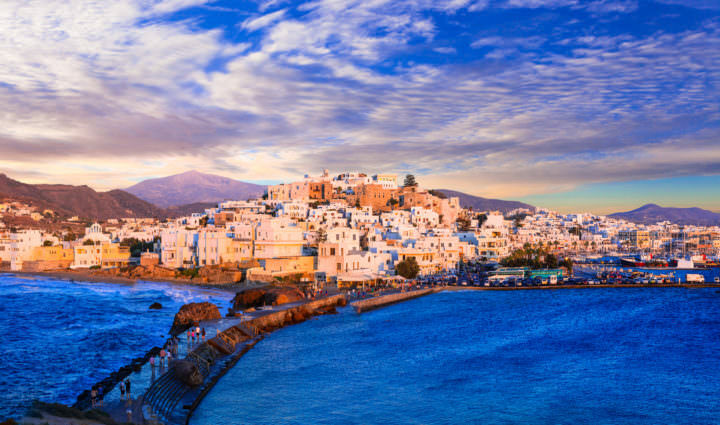 The Old Town, which is located in Naxos Town, also referred to as Chora, is absolutely worth a visit. There are a lot of things to do in the Old Town and even though it has its roots in the past, it is actually a vibrant and modern area. The shops, restaurants, cafes, and tavernas that are located here are representative of what Greece is like in the present. History buffs can wander the streets and look at the older architecture as well as explore the old Venetian fortress. The Portara is one of the most iconic and recognizable sites on the island. In fact, this is one of the first things you’ll see of the island after you step off the ferry. Located on an islet just off the coast of the island by the port, the Portara was originally to be part of an ancient temple. However, construction was never finished. For the best pictures, be sure to gaze at the Portara at sunset. Those who love history and want to know more about the island’s past, the Archaeological Museum is a site you won’t want to miss. Located in the Old Town of Naxos, this museum is worth a visit even if you aren’t a history buff. The museum is small but packed with useful information and artifacts, including Cycladic art. 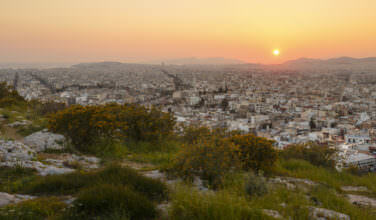 There’s also a nice historical overview of Naxos as well as some other Cyclades islands. While on any Greek island, you’ll certainly want to spend plenty of time at the beach! The beaches on Naxos are filled with everything that makes a beach in Greece great. The sun shines most of the time, the waters are warm and inviting, and some of the beaches are even great for doing outdoor sports. Some of the best beaches on the island include Plaka Beach, Agios Prokopios Beach, and Mikri Vigla Beach. 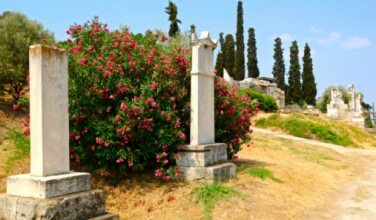 One of the things you will notice while on Naxos is how historic the island really is. Evidence of the past, such as old archeological sites, can be found throughout the island. It is also an island that has a long history of tradition with some of the older legends. 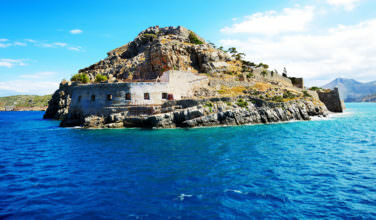 This is the island where Theseus abandoned Ariadne after she helped him escape from the island of Crete. While here, however, you don’t necessarily need to focus on the past. You can certainly enjoy the present by seeing the sights, eating a great meal, sitting at a beach, or browsing through some of the island’s many interesting shops.